Home / World / Malaysia Airlines MH370 found in the Bermuda Triangle? Malaysia Airlines MH370 found in the Bermuda Triangle? Don't click on any link that says it has shocking video of Malaysia Airlines Flight MH370. According to multiple reports, links promising resolution for the missing Flight MH370 are scams. Videos with titles like "Malaysian Airlines missing flight MH370 found in Sea -- 50 people alive saved" have spread through social media sites like Facebook and Twitter, Wired U.K reports. Malware intelligence analyst at Malwarebytes Chris Boyd told Wired that links being spread through Twitter originally appeared on Facebook. As officials from several countries, and dozens of planes and boats, scour the South China Sea and the Bay of Bengal for the mysteriously missing China-bound Malaysia Airlines Flight MH370 with 239 people aboard, some people are wondering if there might be some connection to the Bermuda Triangle. It was inevitable that the disappearance would evoke comparisons to the infamous supposed patch of water into which ships and planes are said to vanish without a trace. Several days ago, a Malaysian politician tweeted, "New Bermuda Triangle detected in Vietnam waters, well-equipped sophisticated devices are of no use!" This outraged many people, who deemed his comments insensitive, and he later apologized. 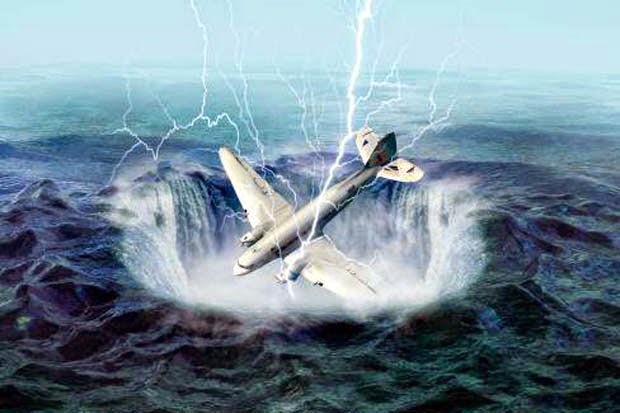 The phrase "Bermuda Triangle" was coined in 1964, but it only became known worldwide a decade later, when Charles Berlitz, whose family created the popular series of language-instruction courses, wrote a book about it. Berlitz believed the legendary lost island subcontinent continent of Atlantis was real and somehow responsible for mysterious disappearances off the coast of Florida.